Top notes of spicy ginger and exotic neroli, alongside heart notes of romantic, dreamy orange blossom and divine Bulgarian rose absolute end on a trail and a hint of tonka and sensual white musk. 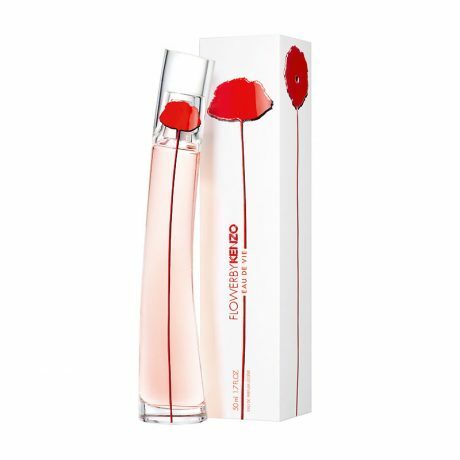 This vivid, vibrant and sparkling floral fragrance is presented in the instantly recognisable curved, tall and slender bottle of a delicate rose pink hue, and embossed with an abstract image of the essence of a red poppy. Available at Frontlinestyle Perfumery in Wells, Somerset from the 4th February 2019, Flower by Kenzo Eau de Vie is the perfect fragrance for the new Spring season.